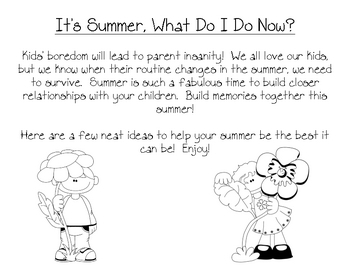 Every year my parents ask, "What can I do with my kids this summer?" I created a pack of over 35 ideas that can keep both kids and parents happy. I hand this out to parents and they love it. Summer is a time for bonding and family. Here are some creative ways to make that happen. Also listed are companies that are offering incentives for kids over the summer and give away prizes or reduced cost to their establishments. 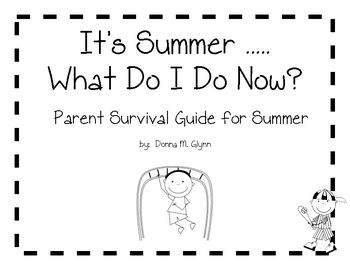 A great resource for any parent to have.